Pick up from your hotel in Marrakech. After your transfer from Marrakech to Imlil (1,780m), you will set off an a 6 hour trek out of the Imlil Valley and into the Azzadene Valley. 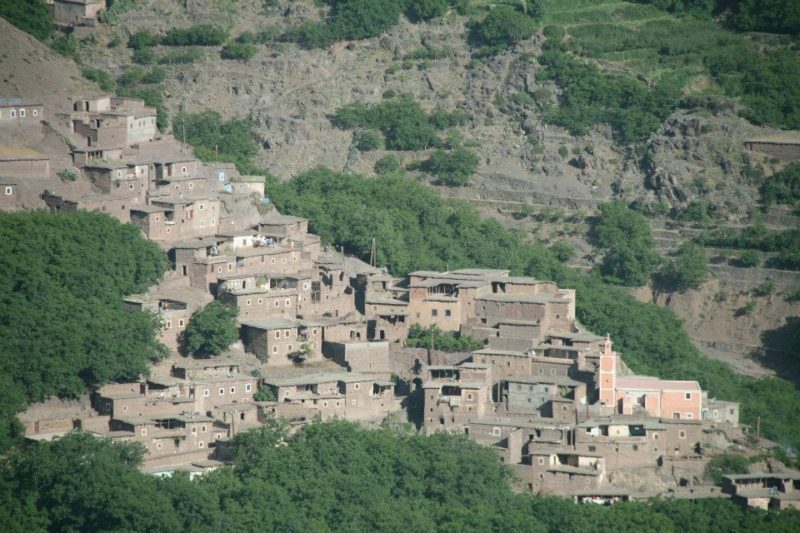 Along the way you will pass Tizi N’Mzik at 2,450m, the refuge at Azib n’Tansoult and the Ighouliden waterfalls. Overnight in the Lipeney mountain refuge at 3,000m ( or before at Azib n Tamsoult). 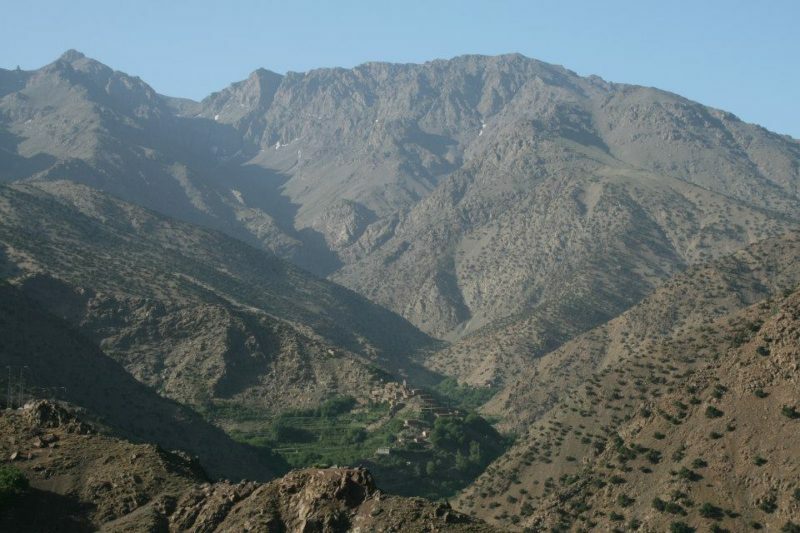 Today involves a fairly stiff climb out of the Azzadene Valley to the Toubkal Refuge over the Aguelzim Mountain pass at 3,560m. 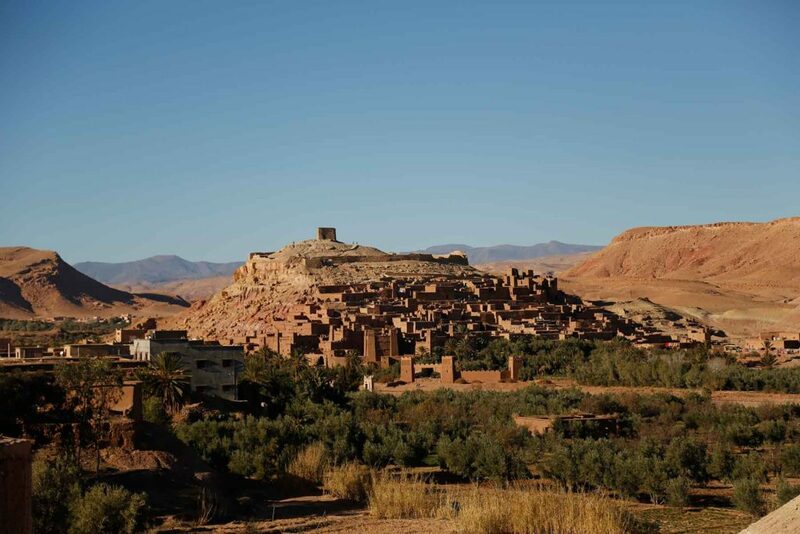 Lunch will be taken with spectacular views over the Atlas Mountain Range. 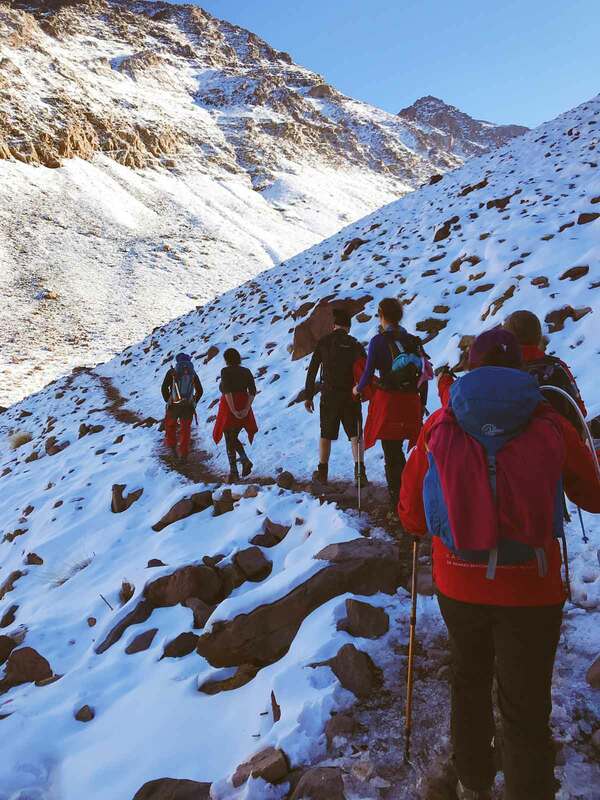 Overnight in a tent nearby the Toubkal Refuge (Neltner Hut). 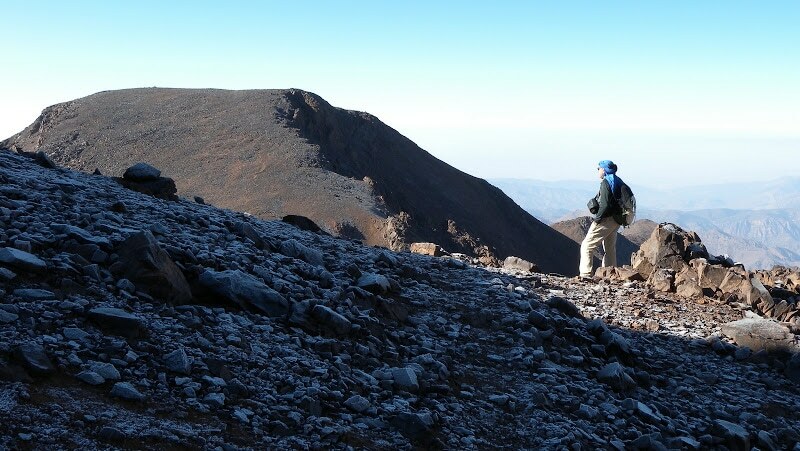 We set off early to climb Jebel Ouanoukrim, starting with a gentle walk up to the valley head to the Tizi Ougane mountain pass then through the ridge to the summit at 4088m . 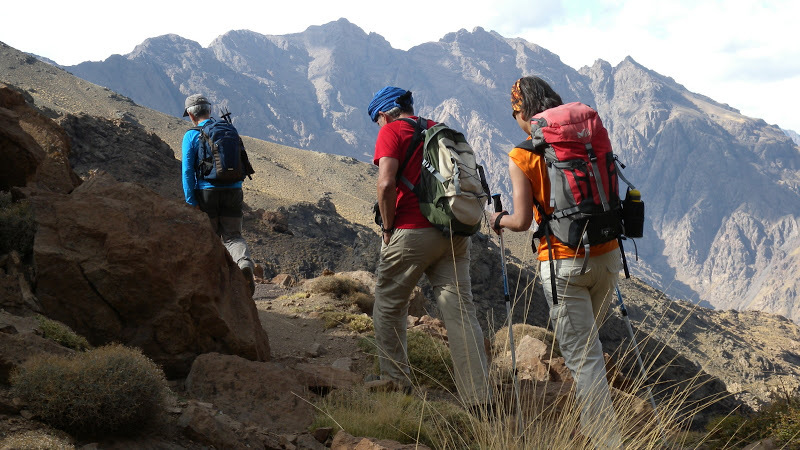 From the top, the views of Toubkal and the surrounding mountains are spectacular. In the late morning/early afternoon we start our descent back to the refuge for a well-deserved hot drink and a relaxing afternoon. 6 hours walking. 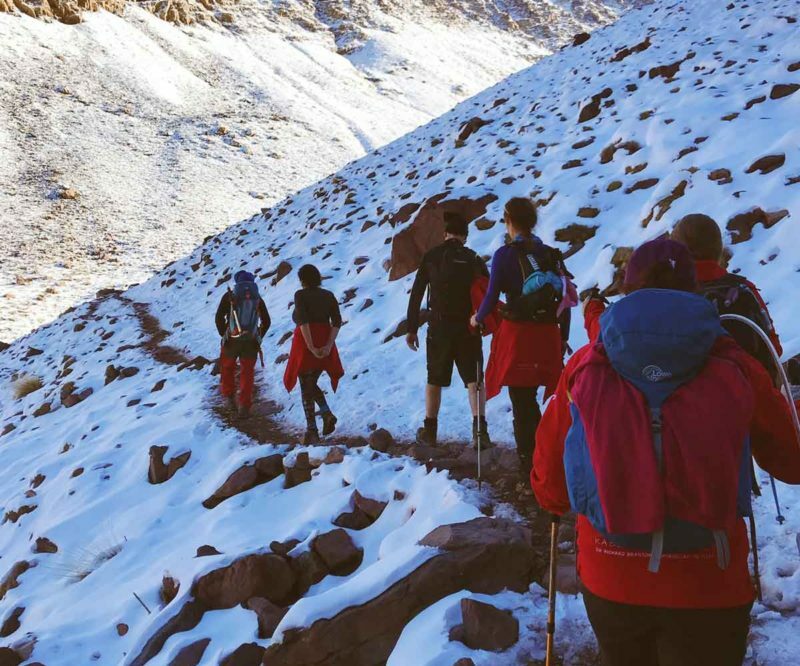 Get up early for the climb up Toubkal (4,167m) from where, clouds allowing, you’ll have wonderful views over the Atlas Range and the Sahara Desert then a long way back down past the refuge and the well-worn path back to Imlil. This is a fairly long day with 8-9 hours of trekking, involving 900m up then almost 2,500m back down to Imlil. Transfer back to Marrakech.